The first castle was built in Lesnica most likely already in 1132, being the prince’s quarters. On December 7, 1201 Boleslaw Wysocki died here. He was a Silesian prince, the ancestor of a branch of Wroclaw princes ruling this area until 1335. The castle of Lesnica was at that time an often-visited prince residence. Among the visitors were: Henry the Bearded with his wife Jadwiga (St. Silesian Jadwiga) and Henry the Sacred. After the death of the last of the Wroclaw’s Piast dynasty, Henry VI, the Lesnica properties went under the Czech rule in 1335. 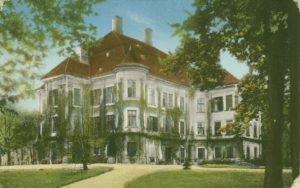 Their new owner, the king of the Czech Jan Luksemburski, sold Lesnica and the castle to a Wroclaw bourgeois Gysko de Reste for 300 Prague groszes in 1339. Since that time the Lesnica castle had been constantly changing owners – this period lasted for 700 years. 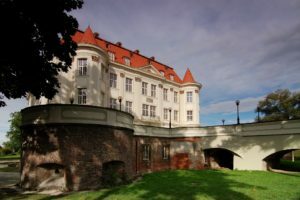 In the 14th century the Lesnica property was owned by several patrician Wroclaw families. Initially it was the property of the von Sitten brothers, from 1348 it was owned by Peter Rieger, then Otto von der Neisse and during the years 1377-1399 – managed by Nikolaus Klettendorf. In 1412 Lesnica became the property of Michael Banke who eight years later was given the permission to build a castle to replace old buildings. It remains unknown whether the plan was executed as in 1428 the Hus troops destroyed Lesnica and in 1459 the quarters were burned down by the Wroclaw bourgeois as there was a possibility it may be conquered by the Hus king George from Podiebrad. 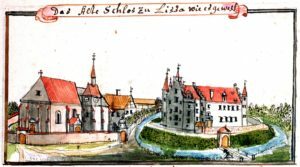 Between 1494 and 1641 the castle became the property of the von Hörnig family. A member of this family, Heinrich von Hörnig, built a new, fortified structure in 1610. The luxurious family quarters was in 1611 visited by the Czech king Maciej II (the German emperor from 1612). The 30-year War fought on the Silesian territory during the years 1618-1648 resulted (in 1633) in the destruction of the recently finished castle. After the war in 1651 Lesnica was bought by the Silesian mayor Horatius von Forno. The castle of Lesnica remained a property of the von Forno family until 1733 (with a short break at the beginning of the 18th century). It was then sold to the Wroclaw’s Order of the Red Star Crusaders (their quarters in Wroclaw was a building on Szewska street which today contains the Ossolineum collection). The castle of Lesnica was rebuilt by the Crusaders and became an impressive baroque building. At the same time the monuments of John Nepomucen and St. Mary were erected on a square next to the route leading to Sroda Slaska (now Swietojanski square). After conquering Silesia by Prussia in 1742 the order sold the palace to baron Ferdinand von Mudrach. In 1761 it became the property of the von Maltzan family and remained in their hands until 1836. In 1837 an ordination was created out of the Lesnica, Mokry and Ratyn goods which became the property of the von Wylich und Lottum family. They managed it until 1945. The last ordinate and owner of the castle was baron Ludolf von Weltheim-Lottum. During the second world war the palace was not destroyed. In 1958 the building was secured and during the years 1959-1963 some works were conducted in order to transform the palace into a cultural center. In 1962 it was put into the Wroclaw’s register of monuments. After 1974 the adaptation of the basements and the catacombs was conducted and in 1995 the building’s facade was renovated. Currently the castle of Lesnica is the quarters of “Zamek” Cultural Center. During its history of nearly 900 years the castle hosted a vast number of royal family members, princes and nobles, the figures known from the pages of history. Among others, persons important for the Silesian history, such as Boleslaw the Tall, Henry the Bearded, his wife Jadwiga and Henry the Sacred, the Czech and German king (later emperor) Carl IV was here in 1348, in 1563 Maximilian II (the emperor during the years 1564-1576) and in 1611 – Maciej II. 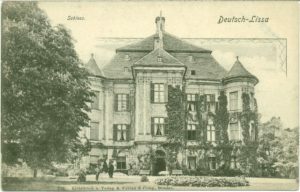 Before the battle of Lutynia (in 1757) the palace became the headquarters of the command of the Austrian army led by prince Carl from Lorraine and after the battle (December 5) the Prussian king Frederic II was here and returned several times. During the Napoleonian days and the siege of Wroclaw (1806-7) the castle was the quarters of the French and Bayern troops. In 1808 prince Hieronymus Bonaparte lived here and in 1813 marshal Michel Ney.